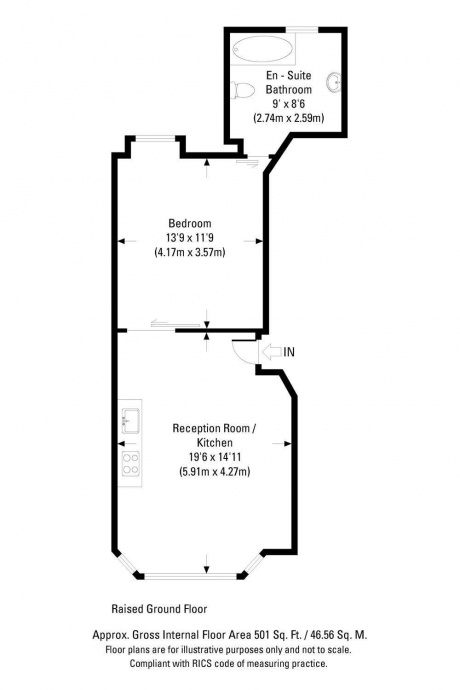 Got a million bucks (£695K) burning a hole in your pocket and looking for some awesome compact digs in London? No, neither do I, but if I did, I would totally consider buying this 501 sq ft apartment by Italian architects Archiplan Studios currently up for sale (well, it might be in contract, but maybe another couple hundred grand would sway things in your favor). 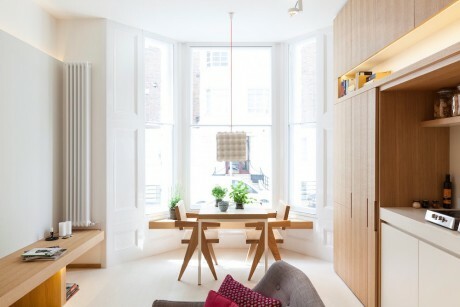 One whole side of the long and narrow space is fitted out with a continuous bank of uber-high quality looking (cherry?) 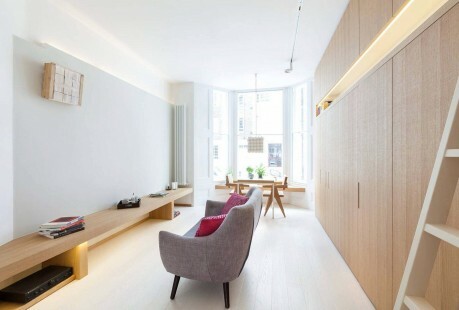 floor-to-ceiling millwork. This bank houses a small, closable kitchen in the main room and lots of storage in both the main and bed rooms. The bedroom has the bed sitting on a box, which appears to have more storage. The cherry continues into the bathroom, which has several cabinets made of that wood. 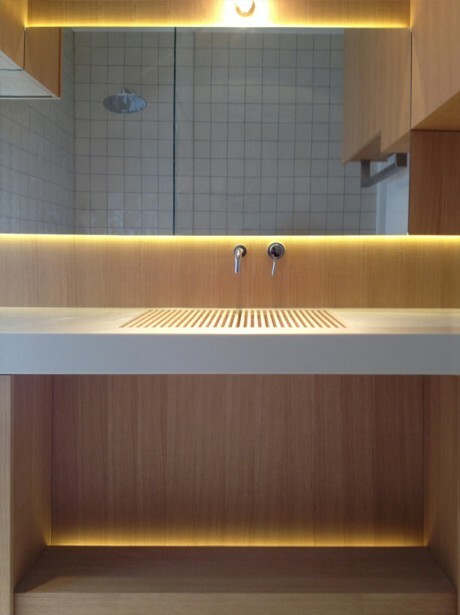 By far the most interesting aspect of the bathroom, is its, um, sink, which is a wood grate (over a drain presumably). It looks nifty and has a very sleek, shallow profile, though I’m not sure if it’s an improvement on the porcelain bowl..I’m actually pretty sure it’s not an improvement. Funny enough, even though the $2100/£1387 per sq ft seems outrageously high, a quick search reveals that it’s far from abnormal in the Hatherley neighborhood where the apartment is located. Considering its location, the amount of built-in furnishings and its top notch design and construction, this little apartment might just be a bargain (for some). I liked it, until I got to the bathroom sink. Form is lovely, wonderful even, but it should never be at the expense of function.